Convey a confident attitude with the gorgeous look of the Giorgio Armani™ Miniweave Oxford. Lace-up tie closure connected through blind eyelets. Low stacked heel with rubber heel strike. 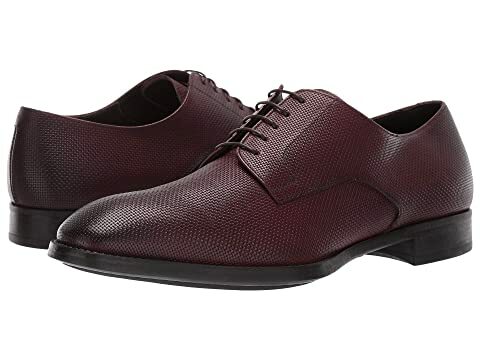 We can't currently find any similar items for the Miniweave Oxford by Giorgio Armani. Sorry!